SG Budget Babe: Why Do So Many Consumers Find Their Medical Claims Rejected? 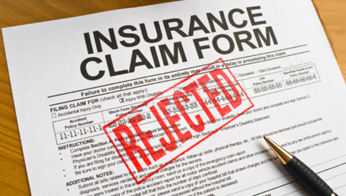 Why Do So Many Consumers Find Their Medical Claims Rejected? 3 days after my post on whether one should buy private health insurance given that most of us are already covered by MediShield Life and our employer's group health policy, the limelight landed on a colon cancer patient who was coaxed by her AIA agent two years ago to upgrade her plan together with a rider, costing her a more pricey annual premium of $2,790. In this recent case, the patient's original plan which she bought in 2000 covered hospitalization in B1 wards in government hospitals. When she developed diabetes in 2010, her plan was able to help reduce her financial burden. However, her agent then recommended her to upgrade on the pretext that she could enjoy maximum coverage for private hospitalization bills. I'm not surprised when insurance agents ask people to upgrade or even switch their plans, because that is how they earn their commissions, after all. But despite paying more hefty premiums, the patient received a rude shock when AIA told her they would only pay $75,000 of her $320,000 total hospitalization claim. AIA's rationale was that her pre-existing condition of diabetes had not been disclosed during the upgrade (but errrrrr she had already made diabetic claims under her previous plan before). If you were her, and at the age of 62, where would you find the remaining $245,000 to pay? Especially if you've not been building up your emergency funds because you had reassurance that your health insurance plan would cover all of your bills? 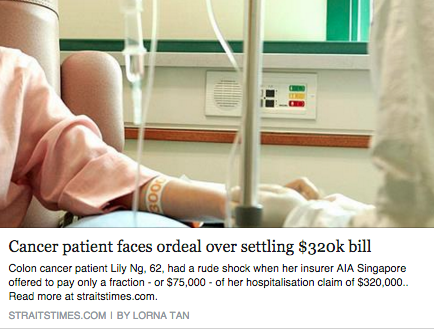 Although AIA did eventually agree to pay the full sum, we cannot assume all of us will be as lucky as Madam Lily Ng. This also relates to point 2 of my original post, where I explained how your pre-existing medical conditions will be excluded when you buy (or change) your plans. 1. People tend to trust their insurance agents too much. I don't care what these people call themselves - insurance agents, financial advisers, wealth planners and what not. In this business, it all works via commissions, so agents are naturally vested to sell you a product that they stand to earn the most from. This also explains why many often ask people to upgrade their plans, or switch to a "better" plan. In fact, I have met a number of insurance agents who can't even answer my questions about the policy they try to sell me when I really deep-dive into the terms and clauses. And I'm not even trained in finance! 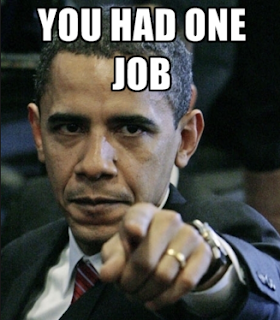 It disgusts me when people can't even do their job well. While I do not deny that there are some good agents out there, such people are as rare as unicorns. The majority of agents are trained to sell. I was once recruited as a financial adviser and they tried to draw me in with the promise that I would be able to earn more than $5,000 a month in pure commissions. If you get sucked into the job, wouldn't you want to sell as many policies as you can in order to maxmize your earnings too? Many innocent consumers have been suckered by their insurance agents. Don't be the next victim. 2. People do not bother to understand the terms of their policies. Yes, I know you are busy, but surely your health over a lifetime warrants at least an hour of your time to look through what you're buying into? Very few people I know actually bother to read the thick T&C documents that come with their insurance policies. (I always do.) Then, when crisis strikes, they kick up a big fuss saying that they "didn't know", "weren't aware" or "not what [they] expected". Good job. The fault isn't always with the insurer - we consumers need to be smarter about what we're signing up for as well! Look, I don't care whether your insurance agent is a "trusted" family member or an "old friend". If you're not willing to read and understand the terms of your own policies, then be prepared to shoulder the consequences of your own mistakes in the future. 3. People do not bother to do their own due diligence. Do you know what are the limitations of MediShield Life? Do you know whether your employer's health insurance is sufficient? Do you know what are the limits of your private health shield plan? These things are complicated. I get it. But come on, there is no excuse, especially when you have financial bloggers like me doing the brain-work for you and breaking it down in easy-to-digest posts. It makes me sad that some of my friends who come to me for advice on financial matters ask me questions that I've already addressed in my posts (and then when I highlight this, they usually say "oops! I saw you posting but didn't read it"). 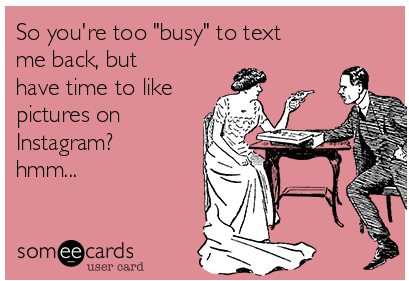 If people can spend hours each day on Instagram or following lifestyle bloggers, I don't see why you can't take 10 minutes to read about a finance matter that WILL eventually affect you (whether you like it or not). You really have no excuse. Even the government has made it easier for us now to compare the different plans in the market before we decide what to buy...instead of buying what our insurance agent recommends to us (which typically happens to be the policy that can line their pockets with the most cash). "But I thought my policy was supposed to..."
"But everyone I know buys this policy..."
"But I already paid all these (upgraded) premiums..."
Whatever your excuse reason is, don't you think it is a little too late to whine only when you end up being unable to claim your bills? Insurance companies write these terms & conditions to protect their own interests. Shouldn't you at least read them, so you can protect yourself too? Never expect your agent to protect your interests for you (it is a bonus if they do, but that doesn't discount you from doing the work yourself). 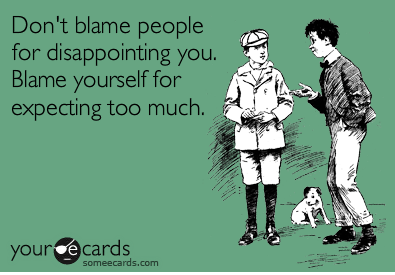 No one else is responsible for your own health (and life) other than yourself. NO ONE ELSE BUT YOU. Get it? Sorry if I sound a bit harsh, but sometimes people really need to be given a hard knock on their heads before they wake up. Mine came when I paid over $3,000 for an insurance policy I stupidly bought without understanding. Finally, to summarize, what can consumers like us do, in order to ensure that we do not end up in such situations in the future? 1. Do not ever blindly trust what your agent says. No matter how good your agent is, never trust him 100%. You need to be in the know as well. When in doubt, clarify with the insurance company directly. 2. Always verify claims directly with the insurance company. If you're about to proceed with treatment based on your agent's words that you can claim for them, verify this with the insurance company directly to double-confirm that it is indeed claimable. Ask for this in writing if possible, so you can have documented proof of their approval (that way, it is harder for them to deny and try to refuse your claim on new grounds...because to do so would be negligence on their end when you first enquired). 3. Read through the terms and conditions of your policies. Make sure you understand them, and clarify if you need to. Look out for exclusions and conditions tied to claims or approvals. 4. Pay attention to pre-existing illness coverage. Hi Budget Babe, your post sounded very negatively biased against the insurance industry. Let me provide a more balance view. Terms and conditions exist to provide a well define product, clearly stating what is claimable and what is not. It is not there to protect the insurer. It is there to protect everyone. The premium is priced based on that. Without the T&C, it will be impossible to price the risk. What is unfortunate is that most consumer are not able to understand these T&C, and their adviser may not have done a good job explaining it clearly. Madam Ng claim was rejected because there was a non disclosure. This is fair treatment. What was not very clear was how did this non disclosure occur. Did she wilfully hide this information from the agent (her fault), or did the agent choose not disclose it on the form (agent fault). There is nothing wrong with AIA not paying. You can refer to Section 25(5) of the Insurance Act. It is necessary to have private integrated shield plan if you wish to be ward in a better ward and not B2/C. Otherwise, you may consider to just rely on Medishield Life, but please note that MSL does not close the full bill, it also does not cover many things such as pre/post hospitalisation, day surgery (e.g. cataract surgery common among elderly). It is not safe to rely on your employer group insurance because you may change job, retire or become a full time blogger. Your employer may even chose to cancel their group insurance. It's better to have medical insurance under your own name. Agent who are purely focus on earning commission not serving their customer (sadly there are many such agent), will in fact not be very interested in selling medical insurance, because the commission for such policy is peanut. He can make bigger money selling other rubbish to ignorant consumer who are easy to "cheat". Because of the complexity of all these, people need the advice from competent and ethical , licensed financial adviser. Unfortunately, such advisers can be sometime be harder to find. But they are more common than unicorn. It is unfortunate that you were recruited by an agency that lured you by using money as the bait. This probably explained your negative perception of the industry. While such agency exist, they don't represent the whole industry. There is really nothing wrong with wanting to make a lot of money. Who doesn't? Doctors and lawyers make a lot. 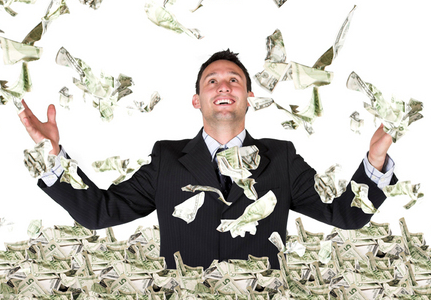 There are also many professional financial adviser who make a lot of money without "cheating" their client. Unfortunately, it will take a lot of hard work and longer time to achieve this. Many agents take short cut to earn quick money. This is indeed very sad fact of the industry. Thanks for weighing in on this from an agent's perspective! I'm not all against agents, just unethical and overly profit-minded ones. The main point in this post is that consumers need to start being responsible about their own policies too and not just lay the blame on their insurer or agent. I'm glad that you took my comment positively. I hope you future post will be more balance and not be bashing the insurance agent again. Many of them did a great job to help their clients. A few black sheep should not tarnish the overall reputation of the industry. I look forward to reading your future posts and also comment if I feel I need to. It saddens me to see that one so young as yourself has already become so cynical but I do commend you for addressing an important issue with regards finding proper financial advice. In this world there are good doctors and bad doctors or good lawyers and bad lawyers but that doesn't make the field of medicine or the practice of law bad in and of themselves and it certainly doesn't make good doctors or lawyers as rare as unicorns. The idea is to spend a little more time researching and looking out for the good ones. As much as I'd like to think of myself to be as rare as a unicorn in what I do alas I have to honestly reveal that there are more than just a few of us independent financial advisers out there that do put our client's interests first and as of paramount importance in what we do. Speaking as one whose clients come almost exclusively from personal introductions and referrals may I suggest that your readers do not despair but to seek out referrals from trusted people around them who have found good advisers just as I'm sure most people do the same when they are looking for good doctors, lawyers, dentists etc as it is unlikely that trusted people would risk their own credibility and reputations by referring incompetent professionals to you. There are financial adviser practitioners who consider what they do to be a practice just like for example a dental or legal practice because we see the advice that we give to have value and we intend to stick with it for the long term. Do take the time to seek these out and once you find them it should be easy to refer them unhesitatingly to others. Granted there are bad apples out there but taking a little time to research the background of these before engaging them in the first place should help. I also agree with Siak Lim that there are usually 3 sides to every story: your side, my side and the truth and until we here a balanced view from both sides we are highly unlikely to discern the truth from this particular episode that you cited. I sincerely hope your next encounter with a truly independent financial adviser is a more fruitful and pleasant one.